Call FairLifts at 908-867-8022 now! At FairLifts, we excel at getting clients a tailored helicopter lift service in a timely and professional manner. By working with helicopter operators around the country, we are able to provide a wide variety of helicopters as well as the experienced pilots to handle any job. Our Customer service agents are also specifically trained to answer any and all your questions or make your logistical booking arrangements 24/7, so even if you’re not sure what type of helicopter you might need, or what the price points are, those answers are a phone call away. Whether you need a heavy duty helicopter, or something with less hauling muscle, our experts can help get you exactly what you need. Get your construction helicopter quote today! The “Gateway City” is the perfect location for helicopter lifts of all types. With Newark’s sprawling swamplands, helicopters are environmentally-friendly options for transmission line work or construction. Cargo and freight deliveries are already a major part of Newark with Port Newark-Elizabeth, one of the busiest shipping container ports on the East Coast. Helicopter charters are especially popular around Newark as it is the easiest way to jump over the infamously snarled traffic in the area, and construction projects in dense, clustered areas of Newark are sometimes not conducive to traditional large ground equipment and cranes. A helicopter lift can be the ideal and affordable solution. Call FairLift experts to inquire about your needs. Our team is standing by to supply you with fast quote for your sling load job! FairLifts is your one-stop shop for helicopter lift solutions. With our vast access to aircraft around Newark (and up and down the coast), getting you the exact helicopter and skilled pilot is what we do. Whatever your needs, our experts can help fulfill them, plus we’re around 24/7 to answer questions, provide advice, quotes, or arrange your lift services. Gone are the days massive ground cranes were relied upon for placing roofs, or heavy rooftop units, beams, and other major construction jobs. Today, helicopter lifts can do all that faster and affordably, without need for access roads or causing environmental issues in wetlands and other areas. Utilizing the power of helicopter lifts can make easy work of big jobs. 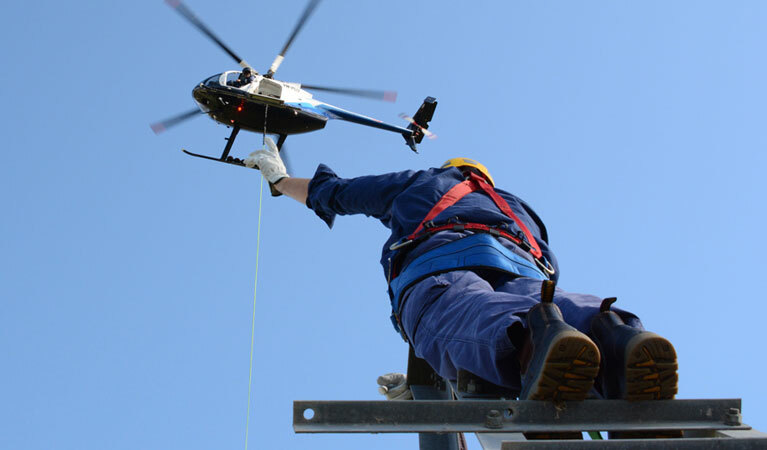 Helicopters can lift up to 25,000 pounds and can accomplish almost any hauling or lifting job from delivering large construction units or vehicles to utility transmission poles. It’s fast and effective. Skip traffic delays, deliver your precious freight or cargo directly to location on time, every time. That’s the power of helicopter cargo and freight deliveries. 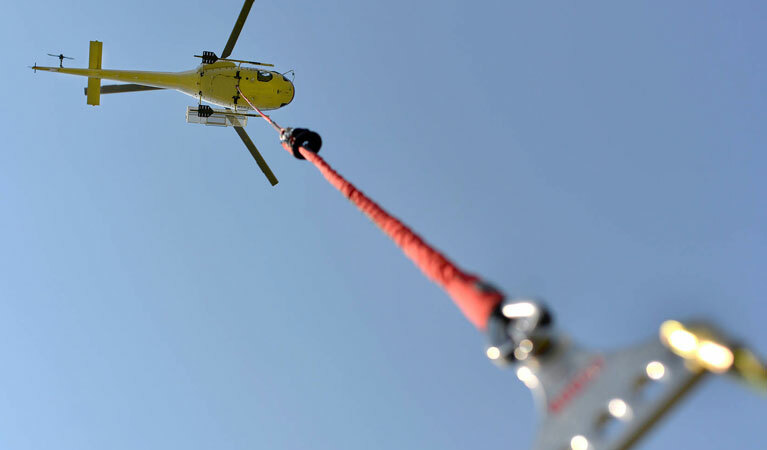 Whether you need heavy cargo delivered, or emergency or medical supplies, a helicopter can do it quickly, reliably and efficiently. Able to mobilize quickly and get anywhere in the Newark area fast, helicopters can deliver vital emergency medical supplies or assist in emergency response. Helicopters are also perfect tools for agricultural applications such as pesticide or fertilizer applications, or performing unintrusive crop inspections. Have questions about how a helicopter lift could help you? Our experts at FairLifts are always standing by to answer your questions, go over price points, or reserve your helicopter lift. Use the contact form or call today to get started.